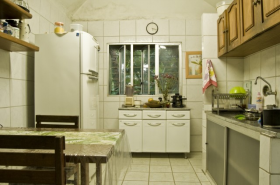 Portuguese Courses can be held in traditional classrooms, the auditorium, the kitchen (for Brazilian cuisine classes), or even outside of the school so that students have meaningful encounters with local customs and experiences. The focus of our program is on grammatically correct communication. Classes are casual, with the frequent use of audio material, video, texts, conversations, and workbook exercises, in addition to other fun activities meant to facilitate learning. We hope to provide an engaging environment that promotes constant interaction between students and instructors through cultural activities, parties, excursions, soccer, music and the human warmth of our team. 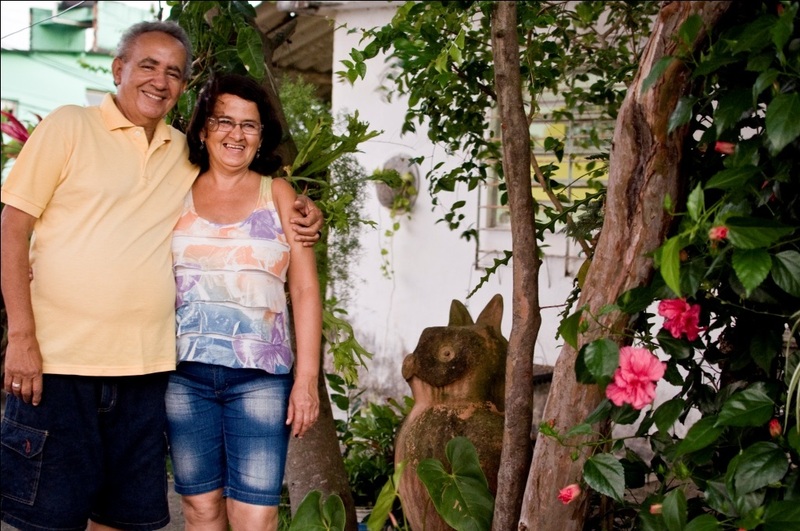 We rely on a group of families prepared to receive students and to foster a satisfying cultural exchange experience, along with greater exposure to the Portuguese language. 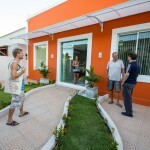 We are located in one of the most beautiful cities of Brazil, hoping you come to participate in this dream, and make it more alive and real every day. 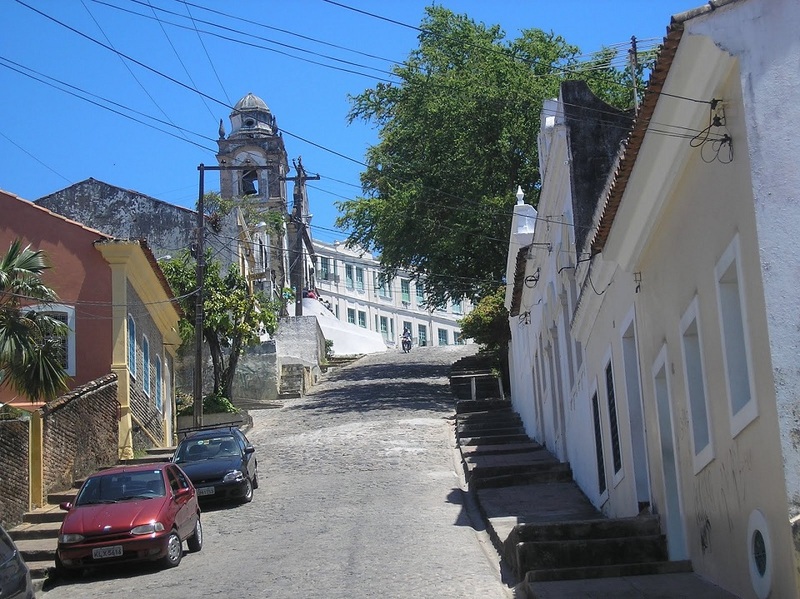 The Olinda Portuguese Language School offers regular courses in Portuguese Courses for Foreigners in both group and private lessons, for beginner, intermediate, and advanced students. For the best learning experience, the group Portuguese courses are limited to a maximum of 6 people per class, and class meets Monday through Friday. Private Portuguese Courses are available for new or advanced students, and professionals who have a specific focus in either verbal or written communication, or in particular themes and vocabularies. Private lessons are perfect for people who have only a short time for language training. These classes also meet Monday through Friday. Intensive 1 Portuguese Course: 20 Portuguese lessons per week. Students attend four 50-minute classes every weekday (Monday to Friday). Maximum group size: 6 students. Intensive 2 Portuguese Course: 30 Portuguese lessons per week. Students attend six 50-minute classes every weekday (Monday to Friday). Maximum group size: 6 students. Private Intensive Portuguese Course 1: 20 Private Portuguese lessons per week. Students attend four 50-minute private Portuguese classes every weekday. 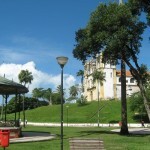 Private Intensive Portuguese Course 2: 30 Private Portuguese lessons per week. Students attend six 50-minute private Portuguese classes every weekday (4 in the morning and 2 in the afternoon). Private VIP Portuguese Course: 50 Private Portuguese lessons per week. Students attend four 50-minute private Portuguese classes every morning, and two 50-minute classes during lunch with the instructor. After lunch, the student attends another four 50-minute classes in the afternoon. In total, 50 classes per week. Students and instructors will determine the number of activities to be completed outside of class. **Important notes: All course prices include Portuguese language lessons as listed below, course materials, internet access and one free Capoeira, dance class, cooking class or Cinema session per week. Airport transfers are available upon request at USD 65 Round Trip. 2019 Starting Dates for all Group Portuguese Courses – Beginners must start on the following dates: 7, 21 January / 4, 18 February / 11, 25 March / 8, 22 April / 6, 20 May / 3, 17 June /1, 15, 29 July / 12, 26 August / 9, 23 September / 7, 21 October / 4, 18 November / 2, 30 December. ALL other levels may start any Monday. Holidays 2019: 1 January, 4-8 March (Carnaval), 12 April, 1 May, 15 November, 25 December. Classes missed due to holidays are NOT made up, except when 2 holidays fall in the same week, in which case one of the days will be made up during the rest of the week. Portuguese + Soccer: Beginner Courses start on the same start dates for beginners listed above and any Monday for intermediate or advanced. Students will have 4 x 50-minute Portuguese classes in the morning, Monday through Friday and afternoon soccer practice twice a week with a soccer coach. Depending on their capabilities students will be invited to play with a local soccer team. Walmir Miranda, our Soccer Instructor, has a degree in Physical Education, is a personal trainer and coaches a soccer team in Olinda. Walmir is passionate about the sport and has extensive knowledge about Brazilian soccer. He is also involved in a soccer project for local underprivileged children in Olinda. Portuguese + Music (Percussion): Beginner Courses start on the same start dates for beginners listed above and any Monday for intermediate or advanced. Students will have 4 x 50-minute Portuguese classes in the morning, Monday through Friday and afternoon percussion classes twice a week. Jam sessions with local bands will be arranged and depending on the ability of the student they may be invited to play live with the band. Important: Jam sessions will not be offered during Carnaval since the hectic schedule of the bands during this time makes it difficult to accommodate students. This course is offered with the support of local artists with vast knowledge of Brazilian Folk music. 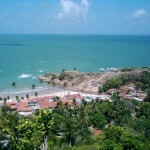 They have local bands, run workshops and lead social projects with the children of Olinda. 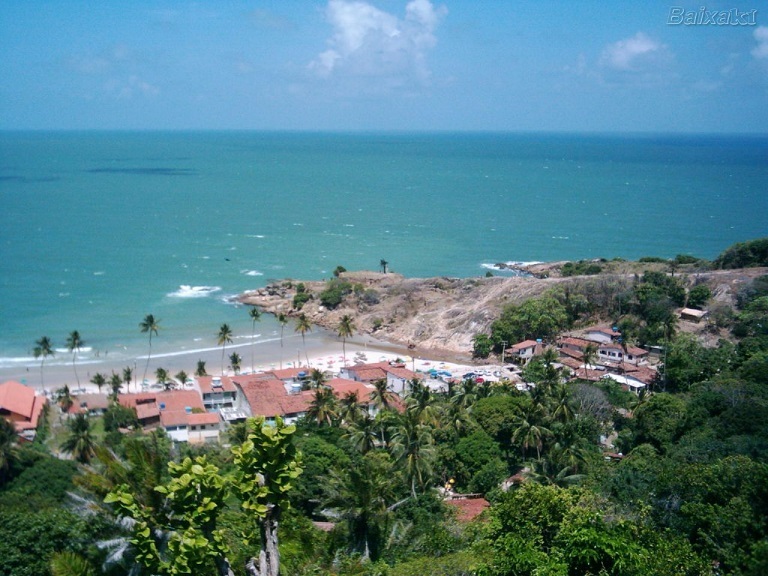 They are very involved in the music scene of Olinda, so no matter your percussion instrument of choice, they can find a band for you to play with. 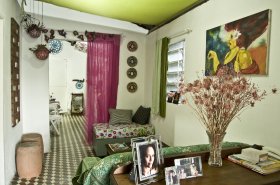 Hospitality is one of the primary characteristics that defines the Brazilian people. 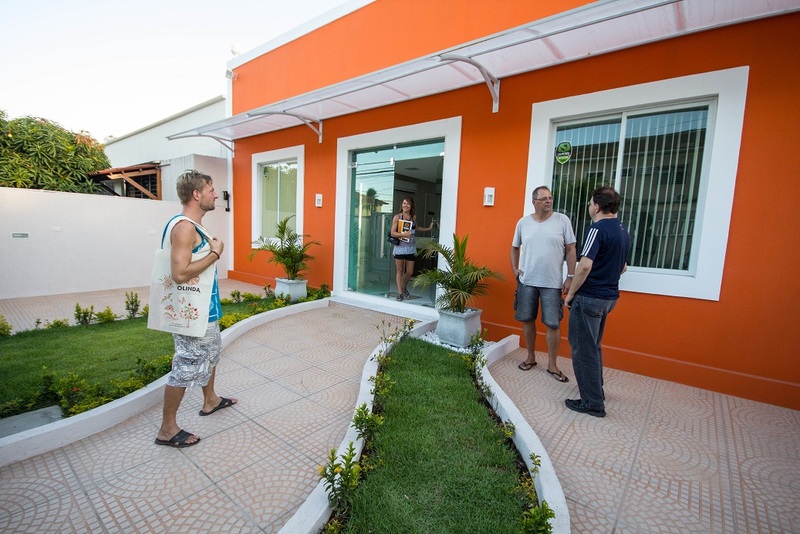 We the staff of The Olinda Portuguese Language School strive to make you feel at home during your stay in Brazil as you learn our language, get to know our culture, and enjoy this memorable experience. 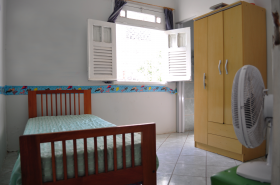 The Olinda Portuguese Language school accommodation options include home stay, hostel, hotel or apartment. 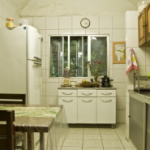 The most popular choice and our highly recommended option is the Homestay with a Brazilian family. Our families give students the opportunity to have a full immersion experience by providing opportunities to practice their language skills as well as enjoy the cultural aspects of everyday life in their home. We feel it is important for students to engage in conversation and also experience the nature of Brazilian life including habits and culinary culture. Is very important students learn how Brazilians behave, our habits, our food, our way of life not only our Language. 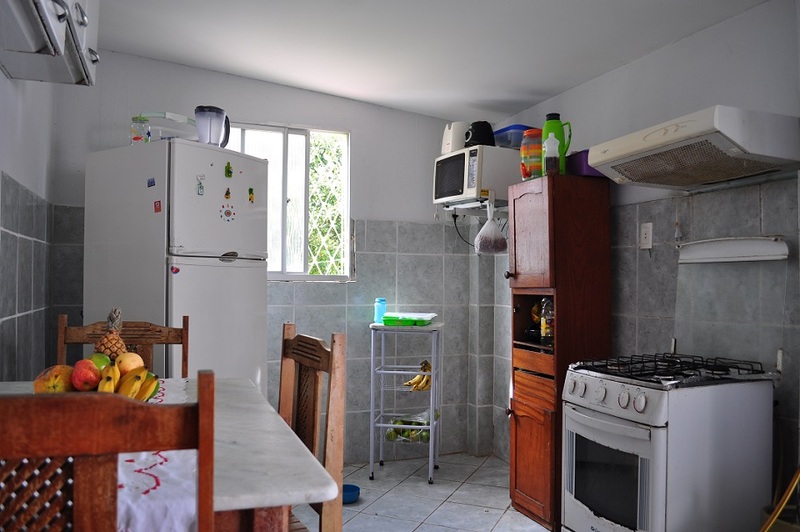 We believe that to stay in a family home is the best choice to our students, they can speak Portuguese every day, the families prepare regional food and introduce them to our culture and habits. 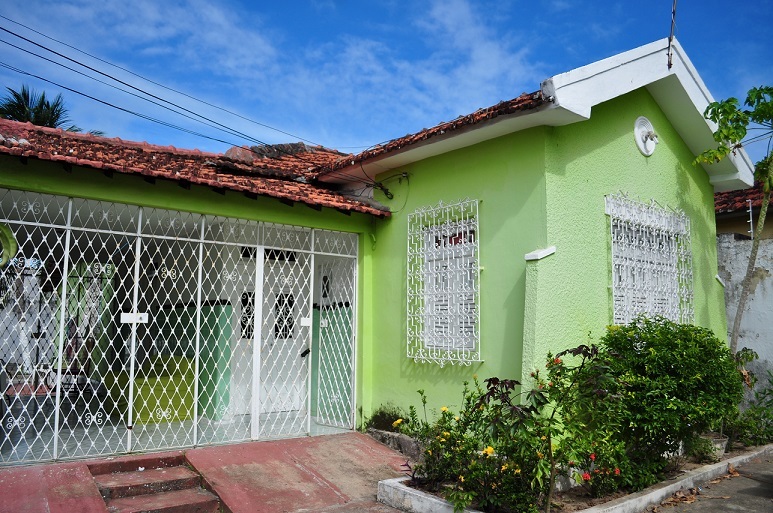 Because of this Olinda School has a partnership with Turismo da Gente: an institution working with Community Tourism, among other things they work with tours and homestay family in Brazil. They prepare families to receive strangers in their homes through workshops. We also apply our own questionnaire, interviews and criteria. As a matter of interest the USA Embassy has interviewed our host families and they have been approved to accept military students. 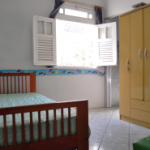 This is our host family criteria: Each family will provide internet wireless access, individual room, copy of the key house, a closet, a table, breakfast and dinner, hot shower and fan. The family must be open and receptive. On the first day of the student’s classes, the family takes him/her to the School. 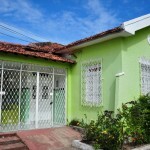 Inn / Posada: Single room, breakfast daily: from USD 630.00 per week. Hotels: prices provided upon request. 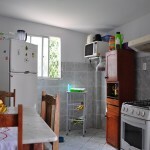 ** Important note: there is a surcharge on host family accommodations during Carnaval week (4-8 Macrh): Host family with half board will be $ 420.00 during that week, and Host Family with breakfast will be $360.00 during that week. 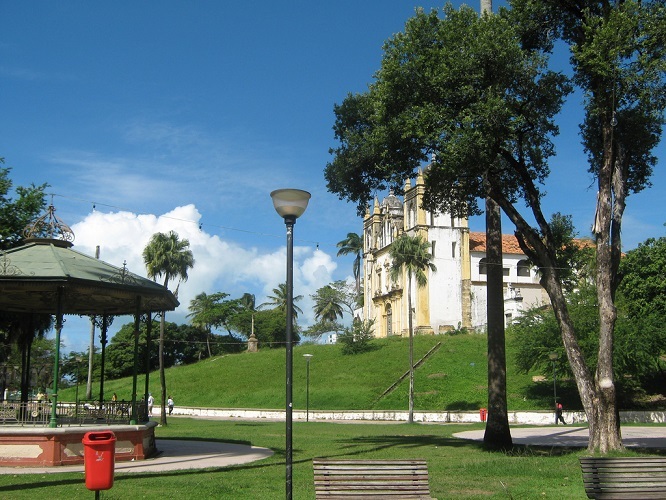 The Olinda Portuguese Language school holds events during the week at the school on topics such as Brazilian culture, dance, cinema, and capoeira. 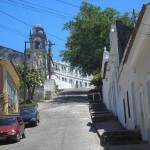 Carnival: Olinda is famous for having the most amazing Carnival in Brazil. 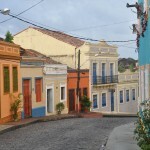 It is important to remember that this is the most important celebration in Brazil, and in Olinda, it is held to the sound of frevo, maracatu and other original rhythms of Pernambuco. 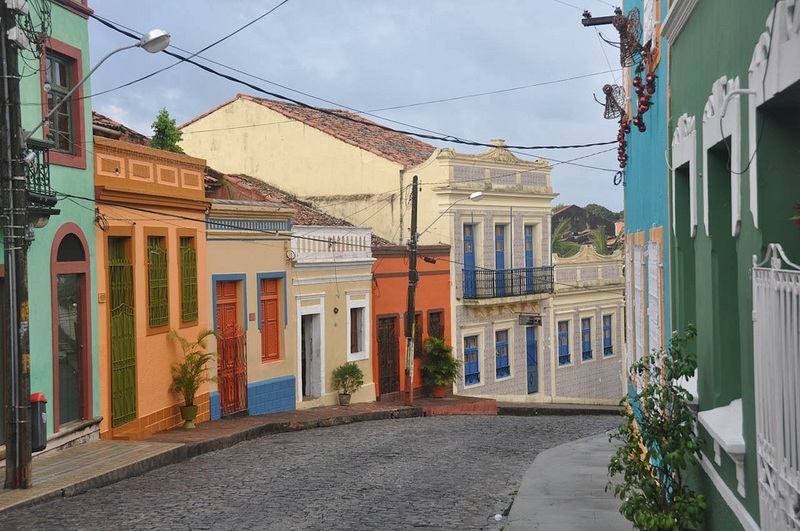 There are crowds of carnival-goers, who group according to different themes, and parade through the city streets, accompanied by frevo orchestras, maracatu groups, and oversized puppets that pass through the entire city, making it even more animated. Motivated by various intentions, many people wear strange costumes, in order to draw attention, make a social critique, or simply make people laugh. 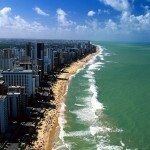 IMPORTANT NOTE: An entry visa for Brazil is REQUIRED for citizens of the USA. 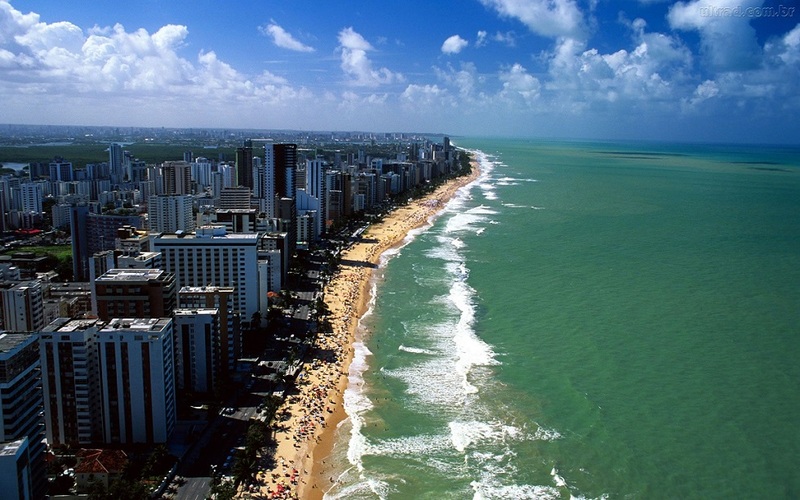 If you are a US Citizen you must obtain a visa through the Brazilian Consulate having jurisdiction over your place of residence prior to departure. You may have to appear in person in order to obtain the visa and in order to do so you may be required to make an appointment ahead of time. Please contact the consulate well ahead of time as the process of obtaining a visa may take several days!! We recommend for safety reasons that students carry just a little cash for their spending money, or use an internationally accepted ATM card (such as Cirrus or Plus system cards). Airport transfers are not included in the course price but are available upon request at an additional charge (USD 65 round trip). If you would like to book a transfer please let us know when you submit your application form. Flight information must be received at least one week prior to arrival.